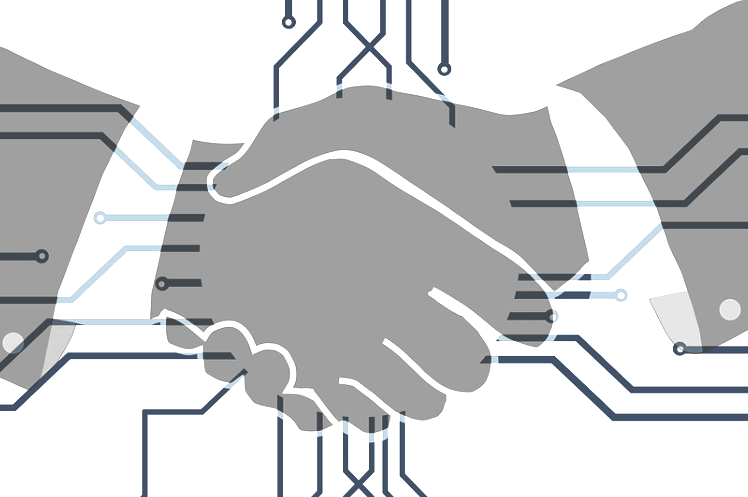 Smart contracts, we’ve all heard about them. But as the prospect of their use in day to day legal work draws ever closer, what should we be focusing on? How should we approach this subject and what really will be the key issues we need to grapple with before this quintessentially legal technology becomes mainstream? Charles Kerrigan, a Banking & International Finance partner at multinational law firm CMS, explores the subject in this insightful piece below which is full of interesting points. It’s taken from a speech he made as part of a panel giving evidence to the UK’s All Party Parliamentary Group on Blockchain at the end of last year*. My initial point is that we need to be clear what we are talking about and start with contracts before we get to smart contracts. Contracts are flexible tools and are simply agreements intended to be enforceable at law. When I say we need to be clear, I will give three examples of what that means here. First, context matters. There is a big difference between buying an ice-cream, buying a house, buying a group of companies. They all use contracts but the context is crucial. Second, is that lawyers will make different assumptions about contracts depending on our location. Under English law we recognise a principle of freedom of contract where contracts can by and large contain any terms the parties intend but in other systems, for example, under French law, there is a distinction between civil and commercial contracts reflecting regulation and policy designed to protect consumers. Third, don’t assume that lawyers have all the answers, because we have preconceptions. Lawyers naturally want to categorise and systematise the things that they deal with. It is very early for smart contracts and I think we need to see what they can do before we decide how we should categorise them. Lawyers are trained that contracts have certain named features so lots of the literature around smart contracts at the moment talks about offer and acceptance, consideration and similar principles and commentators note that smart contracts do not always meet those criteria. It is not clear that it matters. The current question is about what the contracts can do rather than what they should do. Also, contracts have those features that lawyers are trained to recognise because from a policy perspective they are features that courts have found to be significant in the past. There is a major implicit assumption in there: that courts are required for the enforcement of contracts. This leads me to my second point: the benefits of smart contracts. The original bitcoin white paper stressed the irreversible nature of transactions on a blockchain. A key benefit of blockchain technology is that court enforcement is not relevant. Why is this useful? A personal comment here: I think it relates to the benefits of commoditisation. My career around what’s now called fintech has seen an ongoing commoditisation in banking and payments. In payments the goal is always reducing what we call friction – promoting speed, accuracy and consistency. These are features of smart contracts. The digital economy is where I spend a lot of my time working and smart contracts address some of the key concerns that float around that economy – verification, authentication, security, control and audit. And English law has a potential benefit here because the freedom of contract principle exists. Because of the freedom of contracts principle we are well suited to being able to deal with these types of issues. So I turn next to a third point. The problems with smart contracts. We’ve been invited to say what they might be. I divide them into two buckets. The first I think are perceived problems. Again, some of the literature describes a number of conventional points that I think may not be too significant. Some examples: Are smart contacts enforceable? The short answer is yes; by their nature they are enforceable – go back to the blockchain, and the bitcoin whitepaper. Where do you sue if there’s no governing law or jurisdiction? Again, the short answer is that you don’t need to sue if they are self-executing – that’s a feature and function. How are liability issues dealt with? That can be part of the program and there can be insurance solutions in the market, that is the market developing the technology and the insurance markets. 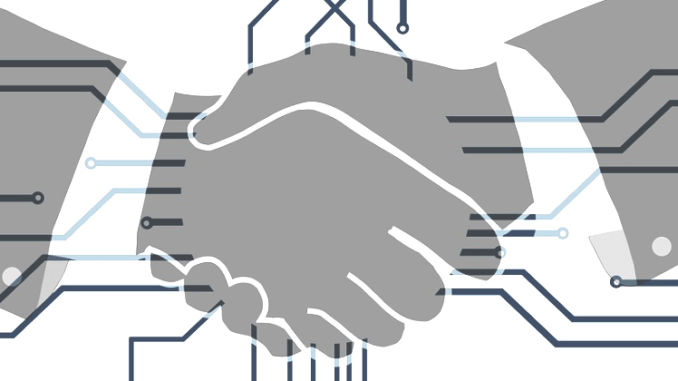 We hear often that smart contracts don’t deal with complex commercial situations. That is true but to take my earlier example, more people buy ice creams than buy groups of companies. I think there are real problems with smart contacts. We have too much information. We will be too reliant on systems operating well together. This is a transparency issue not because we have a black box problem but because we have a box which is so full of stuff we can’t untangle it so we go from a black box problem to a Christmas lights problem. We’ve got genuine hard problems around equity, good faith, fairness, reasonableness, things that lawyers write into contracts sometimes to hide ambiguity or points that aren’t specifically addressed at the time the contracts are signed. We have the obvious questions around regulation: Who is responsible? Where is the off switch? Will regulators take action against the software developers, some users, all users or someone else? Finally we’ve got some terminology questions that I think are difficult: distinguishing between contracts, smart contracts, automation, and more broadly blockchain technology and tokenisation. What Should Governments and Regulators Do? So what should government do? I brought a number of questions without answers but hopefully that’s relevant at this early stage of the group. First, we have policy questions arising from the fact that we are looking to see what regulation would be suitable where the regulator has less information than the firms and parties involved in this environment. Second, one of the consequences of automation will be a shift from negotiated contracts, which is the history of contracts, to a world I anticipate of regulated contracts where public policy parameters will somewhat restrict the freedom of contract that we’ve seen and valued under English law. Third, I think we’d all say something about standards. There is clearly a need for a standard here. The more automation that we have, the more that will need to be output and outcome-based rather than input-based. That isn’t how standards normally operate so there is a question here. Fourth, I can see a role for insurance at least where problems relate to financial risk and loss. Fifth, we still have an open question under English law around the recognition of digital assets. We know that under English law information is not property but that will be tested more and more as time goes on. So some questions for government there. I finish with a closing thought which is an old chestnut. When we are talking about technology it’s important not to lose sight of the fact that technology is technique not ideology. So, the answers to the questions should be flexible. ‘One of the consequences of automation will be a shift from negotiated contracts,’ – Charles Kerrigan. On the issue of the derivatives market, it is suitable for this type of technology because although many derivatives contracts are complex a simple interest rate trade or foreign exchange trade is straightforward and well suited to this technology. We have also seen developments in this area, because it is an area where there are oracles, that is publishers of real time information: a Bloomberg screen, a Reuters page. This is a natural place to experiment for those two reasons. It’s also an area where, from a policy perspective, people are more comfortable with the marketization of information than they would be in a consumer perspective. I agree entirely that there was a section of that market in structured finance that was found out as part of the financial crisis and was either unnecessarily complex or more complex than some of the parties understood. I think there is a useful smart contracts analogy there that the contracts were complex and not de-bugged. They were written quickly under the time pressure by lawyers and clients who didn’t necessarily understand all of the possible complexities. So, they illustrate very well the translation problem that we currently have in not having smart contracts. There is a general problem that in a digitalising world where we still rely on paper there is scope for disappointment and loss where there is a mismatch between the contract and the code. This goes away where they are the same thing. It may be worth saying that in all of these contexts we should refer to the distinction between permissioned and permissionless systems. By and large we are talking about permissioned systems and therefore some of the elegance of the theory is not translated into the practice. There is also a significant distinction between consumer and non-consumer positions. I think the consumer perspective is likely to be relatively uninterested in contracts and more interested in outcomes and therefore I think regulation by reference to acceptable outcomes and insurance support in backing that up is going to be a natural place for us to go. Among other reasons because the insurance industry is good at managing risk and identifying and assessing risk. In the commercial world, that’s where I think the hard problems lie and there is potentially a mixed blessing in smart contracts in that we can say on one hand that they will provide more efficiency for the reasons that we’ve heard but on the other there is a world in which they provide less efficiency because all of this ambiguity has to be turned into questions for the clients and principals: what do you mean by this, what do you mean by this …? That will be an irritating experience for a lot of commercial clients. 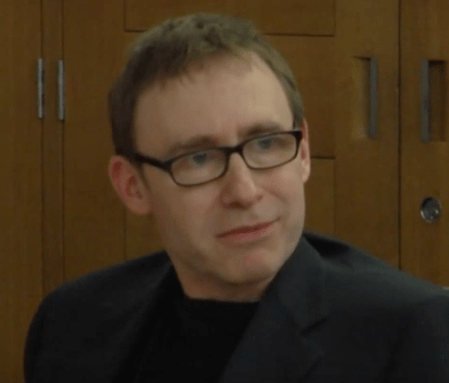 And, if you’d like to watch the full video – which is highly recommended – of all the panel members speaking at the APPG on Blockchain evidence meeting on smart contracts please check out the full video below, (1 hr 29). One of THE best insights on Smart Contracts.